Why Is Colon Cancer Increasing In Young Adults? The good news (best of times) is that colorectal cancer rates in the United States have been declining for several decades for adults over 50. The decline is attributed to a healthier lifestyle and better screening. The bad news (worst of times) is that colorectal cancer rates are increasing at an alarming rate for young adults. We have also learned recently that heart attacks are increasing for young women. Why are young people in our country dying from diseases that we traditionally associate with older adults? This study (RL Siegel et al, Journal of the National Cancer Institute, 109 (8): djw322, 2017 ) was an analysis of data collected between 1974 and 2013 from a registry of cancer diagnoses called the Surveillance, Epidemiology, and End Results (SEER) Program. The data were collected from nine regions of the United States (Atlanta, Connecticut, Detroit, Hawaii, Iowa, New Mexico, Seattle-Puget Sound, San Francisco-Oakland, and Utah). In this study 490,305 patients 20 years and older developed colorectal cancer between 1974 and 2013. This study divided those colorectal cancer cases into 11 age groups (20-29, 30-39, 40-49, 50-54, 55-59, 60-64, 65-69, 70-74, 75-79, 80-84, and 84+). The study then compared colorectal cancer rates for each age group in 8 five-year time periods (1974-1978, 1979-1983, 1984-1988, 1989-1993, 1994-1998, 1999-2003, 2004-2008, and 2009-2013). When the investigators looked at the change in colon cancer incidence over time in different age groups, the results were quite alarming. For adults age 20-29 colon cancer rates increased by 2.4% per year between the mid-1980s and 2013. While that doesn’t sound like much, 2.4% per year adds up. Colon cancer rates almost doubled between 1985 and 2013 for that age group. For adults age 30-39 colon cancer rates increased by 1% per year over that same time period. That’s a 25% increase between 1985 and 2013. By the mid-1990s colon cancer rates started increasing by 1.3% per year for the 40-49 age group and 0.5% per year for the 50-54 age group. The only good news was that colon cancer rates continued to decrease for adults aged 55 and above. When the investigators looked at the change in rectal cancer incidence over time in different age groups the results were even more alarming. For adults age 20-29 rectal cancer rates increased by 3.2% per year between 1974 and 2013. That’s an almost 4-fold increase in rectal cancer for that age group. For adults age 30-39 rectal cancer rates increased by 3.2% per year between the mid-1980s and 2013. That’s about a 3-fold increase. By the 1990s rectal cancer rates started increasing by 2.3% per year for the 40-49 age group and the 50-54 age group. Once again, the only good news was that rectal cancer rates continued to decrease for adults aged 55 and above. Obesity is a prime suspect. The increase in colorectal cancer incidence in young adults closely parallels the obesity epidemic, and obesity is associated with an increased risk of colon cancer. Many of today’s most popular diets may just make matters worse. Fad diets promise rapid weight loss, but they may also increase the risk of colorectal cancer. Fad diets often restrict fruits, grains, and/or legumes. 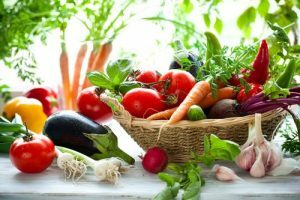 Plant based diets containing lots of fruits, vegetables, whole grains, and legumes are associated with a significantly lower risk of colorectal cancer. We have no evidence that we can leave out any component of a plant-based diet and still reduce colorectal cancer risk to the same extent. Fad diets often emphasize red meat as a protein source. The World Health Organization considers red meat as a probable carcinogen. The association between red meat consumption and cancer incidence is stronger for colon cancer than for any other cancer. Fad diets are often high in saturated fats, and saturated fat is associated with an increased risk of colorectal cancer. Finally, fad diets are often low in fiber. Low fiber diets alter our microbiome (gut bacteria), and recent research suggests our microbiome may play an important role in preventing colon cancer. The typical American diet is no better. It is high in red meat and saturated fats. It is low in fruits, vegetables, whole grains, legumes and fiber. Plus, it is high in sugar, sweets, and refined grains. With respect to colorectal cancer risk, it is the worst of all possible worlds. We don’t get enough folic acid, calcium and omega-3s in our diet. Those nutrients are associated with a lower risk of colorectal cancer. We don’t move enough. A sedentary lifestyle is also associated with an increased risk of colorectal cancer. Cigarettes and alcohol are associated with an increased risk of colorectal cancer. However, smoking and alcohol consumption have been declining in recent years, so they do not explain the increase in colorectal cancer we are seeing in young adults. If you are a young adult, you are probably wondering what you can do to reduce your risk of colorectal cancer. The good news is that we have a good idea of how to reduce the risk of colon cancer, and it works at any age. Get screened for colorectal cancer. The American Cancer Society recommends that screening start at age 45. However, you may want to consult with your doctor about earlier screening if you have a family history of early-onset colon cancer, have blood in your stool, or develop bowel changes that last more than a few weeks. Limit saturated fats. Replace saturated fats with monounsaturated fats and polyunsaturated fats. Get plenty of fiber. That should be no problem if you are consuming a primarily plant-based diet containing lots of fruits, vegetables, whole grains and legumes. Make sure you are getting enough folic acid, calcium, and omega-3s. I recommend supplementation because even healthy diets often fall short of these nutrients. Avoid fad diets that take you away from a healthy eating pattern (described above), one that is known to reduce colorectal cancer risk. 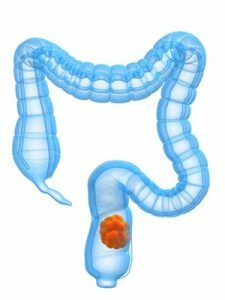 A recent study has reported an alarming increase in colorectal cancer incidence in young adults. For adults in the 20-29 age range, colon cancer incidence has increased 2-fold and rectal cancer incidence has increased 4-fold over the last few decades. Colon and rectal cancer incidence have also increased significantly for adults in the 30-39 and 40-49 age groups. The only good news from this study is that colon and rectal cancer incidence is continuing to decline for older adults. This is a clear wake-up call. If this trend is not reversed, it does not bode well for these adults when they reach their 60s, 70s, 80s, and beyond. For more details on what experts think is causing this alarming increase in colorectal cancer among young adults and what young adults can do to protect themselves from colorectal cancer, read the article above. Why Are Heart Attacks Increasing In Young Women? Heart disease is still the leading cause of death in the United States, but things seemed to be getting better. More people are following heart-healthy diets and the treatment of heart disease has improved. One recent study found that the overall rate of heart disease has decreased by 38% in the U.S. since 1990. Heart attack rates have also been inching down in recent years. That’s why the latest study was both surprising and concerning. If it is to be believed, heart attack rates are increasing in young Americans, especially young women. That is particularly shocking because young women are thought to be protected from heart disease by their estrogen. Until recently, heart attack rates have been lower for young women than for young men. It hasn’t been until after menopause that women caught up to men in terms of their risk for a heart attack. What should young women be doing to prevent heart disease? This study (S Arora et al, Circulation, 139: 1046-1056, 2019 was an offshoot of the Atherosclerosis Risk in Communities (ARIC) Surveillance Study. The ARIC study collected data on hospital admissions for acute myocardial infarction (or in layman terms, heart attacks) for patients aged 35-74 in four geographical areas in the U.S. (Forsyth County in North Carolina, Washington County, Maryland, Jackson, Mississippi, and the Northwest suburbs of Minneapolis, Minnesota). The annual rate of death following a heart attack decreased by around 3%. However, the current study focuses on the younger people in the study (ages 35-54) and came to a surprisingly different conclusion. Contrary to the results obtained with the general population, the rate of heart attacks increased in younger people. Although the article uses the terms “young adults” and “young women,” I realize that some of you may consider that misleading. My only comment is whether you consider the 35-54 age range to be “young” or not probably depends on which side of 35 you are on. The overall proportion of hospitalizations for heart attack among young people increased from 27% in 1995 to 32% in 2014. The increase in heart attack rate was most dramatic for young women. Hospitalizations for heart attack increased from 30% to 33% for young men. This increase was non-significant. Hospitalizations for heart attack increased from 21% to 31% for young women. 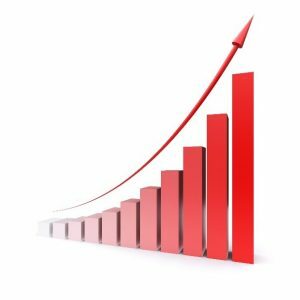 This increase was highly significant. This is a wake-up call. We now appear to be entering an era in which heart attack rates for young women (ages 35-54) equal those of young men. The protective effects of estrogen have disappeared. Is this study true? There are some limitations to this study, but it is a fairly robust study. A similar study in Canada came to the same conclusion, and several other studies have suggested a similar trend. More research is needed, but this is a very disturbing finding. Why are heart attacks increasing in young women? The short answer to this question is that we don’t know. However, the study offers several hints. Hospitalizations for heart attack were highly correlated with a history of high blood pressure and diabetes. Obesity was not measured in this study, but it increases the risk of both high blood pressure and diabetes. Experts have been warning for years that the obesity epidemic may undo all the progress we have made at reducing heart disease deaths. This study may be the first indication that the prediction is coming true. Young women were less likely than young men to be receiving lipid-lowering medications and other medications to reduce heart disease risk at the time of admission for their first heart attack. This may reflect a perception among both patients and physicians that young women are less likely to develop heart disease than young men. Young women may be less likely to seek medical advice about how to control obesity, high blood pressure and diabetes, and medical professionals may not treat these conditions as aggressively as they do for young men. The current study suggests the perception that obesity, high blood pressure and diabetes are less likely to cause heart attacks in young women than in young men is no longer true, if it ever was. The early symptoms of a heart attack are different for women than for men. 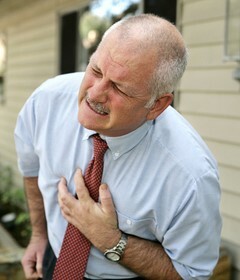 For men heart attacks are associated with chest pain. For women early symptoms of an impending heart attack may be back pain, nausea, or dizziness. Both women and their doctors may not recognize these symptoms early enough to fend off a full-blown heart attack. What should young women be doing to prevent heart disease? This is the topic of the next section. What Should Every Woman Know About Heart Disease? There are several simple lessons every woman should take from this and similar studies. Heart disease is not a male disease. If that were ever true, it is definitely no longer true. Don’t assume your risk is low until you reach menopause. This study suggests today’s young woman is just as likely to have a heart attack as a young man. 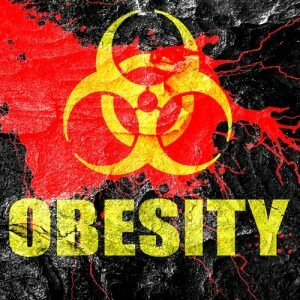 Obesity, high blood pressure, and diabetes are killers. The good news is that if you start while you are young, you can reverse these killers with diet and lifestyle changes. A heart healthy diet and lifestyle is important at every age. Don’t fall for the diet fads. Despite what Dr. Strangelove’s health blog would have you believe, saturated fats increase your risk of heart disease. A whole-food, primarily plant-based diet is the only proven dietary approach for reducing heart disease risk long term. For more information on how you can protect your heart, read my books. “Slaying The Food Myths” and “Slaying The Supplement Myths”. Get regular checkups. If you develop risk factors for heart disease, don’t ignore them. Treat them aggressively. This requires a partnership between you and your doctor. Your part of the partnership is to make the necessary lifestyle changes to reverse these risk factors. Your doctor’s role is to provide appropriate medications to control these risk factors if you are unable to control them with lifestyle changes alone. While heart disease has been declining in the general population, a recent study has shown that heart attacks are on the increase for young adults. In particularly, heart attacks are increasing in young women. 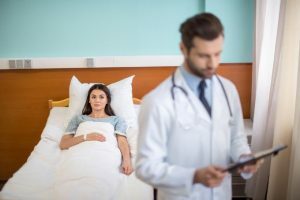 Hospitalizations for heart attack increased from 21% to 31% young women. This increase was highly significant. This is a significant and disturbing finding. We now appear to be entering an era in which heart attack rates for young women equal those of young men. The protective effects of estrogen have disappeared. Note: The authors defined 35-54 years old as young. Whether you consider that young or not probably depends on which side of 35 you are on. 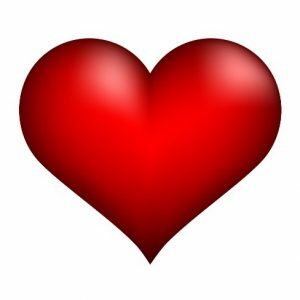 For more details and my recommendations for what every woman should know about heart disease read the article above. 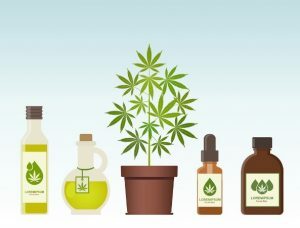 Is Hemp Oil Good For You? CBD products are hot. If you believe the hype, they cure just about anything that ails you. Plus, they are “natural,” and the public has an insatiable appetite for natural cures. If that weren’t enough, marijuana has had a long history as an illicit drug, which adds a little allure to CBD products. The CBD industry is exploding. But, is hemp oil good for you? Many of you have contacted me and asked for my opinion on CBD products. 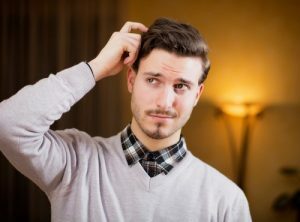 Up until now I have deferred because it was simply not an area of expertise for me, and I had not come across any good studies on the effects of CBD. However, I recently came across a comprehensive review of the evidence behind CBD and cannabis by experts I trust. This was a report called “The Health Effects of Cannabis and Cannabinoids. The Current State of Evidence and Recommendations for Research” published by the National Academies of Sciences, Engineering, and Medicine (National Academies Press, Washington DC, 2017 ). Before I describe the findings of the report, I need to define some terms for you. Cannabis is a genus of flowering plants that originated in Central Asia. Cannabis plants contain a class of compounds called cannabinoids, of which the two most abundant are tetrahydrocannabinol (THC) and cannabidiol (CBD). It is THC that is responsible for the intoxicating effects of cannabis. The term hemp refers to varieties of Cannabis that have been selected for non-drug use. Hemp is low in THC and high in CBD. Marijuana, on the other hand, is high in THC and low in CBD. How Was The Report Prepared? The National Academy of Sciences selected 16 of the top experts in this area of research. These experts reviewed hundreds of published studies, met several times to discuss the studies, and wrote a comprehensive, 468-page report based on their evaluation of the data. This report was then sent to another group of 15 experts to be reviewed and edited before final publication. Claims for benefits of CBD and/or THC that have been proposed by their advocates. Claims for risks of CBD and/or THC that have been proposed by their opponents. Conclusive Evidence: The claim was supported by many good-quality studies with no credible opposing findings. Substantial Evidence: The claim was supported by several good-quality studies with few or no credible opposing findings. Moderate Evidence: The claim was supported by several good- to fair-quality studies with few or no opposing findings. Limited Evidence: The claim is supported by fair-quality studies or study results have been mixed, with more studies supporting the claim than refuting it. Insufficient or No Evidence: The claim is supported by a single poor-quality study, study results have been mixed, or no studies have been done to either support or refute the claim. The report lumped all claims for any form of cannabis or cannabinoids together. This includes the cannabis plant, CBD, THC, preparations containing both THC and CBD, and everything in between. 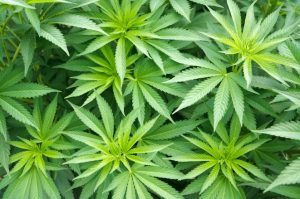 I will help you sort out which approved claims were associated with which form of cannabis. Conclusive evidence that THC or a combination of THC with CBD is effective for treating chemotherapy-induced nausea and vomiting. (These studies were not done with CBD by itself). Substantial evidence that THC or a combination of THC with CBD is effective for treating involuntary muscle contractions due to multiple sclerosis. (These studies were not done with CBD by itself). Substantial evidence that THC or a combination of THC with CBD is effective for treating chronic pain. (These studies were not done with CBD by itself). Moderate evidence that THC or a combination of THC with CBD may help with certain sleep problems. (These studies were not done with CBD by itself). Limited, insufficient, or no evidence to support claims for CBD products by themselves. The reviewers did not say that CBD products were worthless. They simply concluded that the existing studies were not strong enough to rate the evidence supporting CBD claims in the moderate to conclusive range. For example, the reviewers described a study reporting that 300 mg of CBD reduced anxiety for men giving a speech. It was a very small study, the data were inconsistent, and an effect of CBD on anxiety has not been supported by other studies. Thus, the reviewers concluded that the evidence supporting a claim that CBD reduces anxiety is insufficient. Of course, that may change as future studies are published. 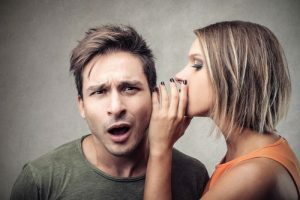 In short, the reviewers felt that, while there may be benefits derived from CBD, more high-quality research is needed to either support or refute the claims that are currently being made for CBD products. Risks: The report did not list any studies substantiating risks associated with CBD use. The amount of CBD used in clinical studies is generally 100 mg or more, while many CBD products provide 20 mg or less. Quality control is spotty at best. One recent study (MO Bonn-Miller et al, JAMA, 318: 1708-1709, 2017 ) evaluated 84 CBD products and found that only 30% of them were accurately labeled. Some contained little to no CBD and about 20% had detectable levels of THC. What Are The Benefits And Risks Of Marijuana or Hemp Oil? is effective for treating chemotherapy-induced nausea and vomiting. is effective for treating involuntary muscle contractions due to multiple sclerosis. is effective for treating chronic pain. may help with certain sleep problems. Limited, insufficient, or no evidence to support the other claims for THC or THC + CBD. Cannabis smoking and more frequent bronchitis episodes. Cannabis use and increased frequency of motor vehicle crashes. Maternal cannabis smoking and lower birth weight of the offspring. Cannabis use and the development of schizophrenia or other psychoses, with the highest risks among the most frequent users. Progression to problem cannabis use. The risks are greatest for males, people who initiate cannabis use at an early age, and people who use cannabis frequently. Cannabis use and the impairment of cognitive domains of learning, memory, and attention. Cannabis use and the development of substance dependence and/or substance abuse disorder for substances including alcohol, tobacco, and other illicit drugs. Once again, the committee concluded that more high-quality research was needed. For a summary of the report’s evaluation of all claimed benefits and risks of CBD and/or marijuana use, click here . For details on individual studies reviewed by the committee, read the complete report at https://doi.org/10.17226/24625. There is lots of excitement around CBD products and medical use of marijuana (THC). If you believe the proponents, they are a panacea for everything that ails us. If you believe the opponents, the risks far outweigh the benefits. Which of these claims are true and which are false? Fortunately, the National Academy of Sciences appointed a committee of experts to evaluate the research supporting or refuting the claims. They issued a report in 2017 that evaluated the strength of scientific evidence supporting these claims. They found no good evidence supporting the proposed benefits of CBD products. Nor did they find evidence for any risk of CBD products, properly used. They did not conclude that CBD products were worthless. They simply concluded that more high-quality research was needed to substantiate the claims. They found conclusive evidence for some of the proposed benefits of medical marijuana. However, they also found substantial evidence supporting some of the proposed risks. Again, they concluded that more research was needed. While February is the shortest month of the year, to our northern family and friends it is the longest, seemingly endless, month. Where I live in Sarasota, Florida, winter brings us near-perfect days and cooler nights. It’s my favorite time of year. And of course, we all celebrate the holiday of love – Valentine’s Day! Just a bit of trivia: In 1868, Richard Cadbury released the first Valentine’s Day box of chocolates, followed in 1902 with the first conversation hearts from the New England Confectionery Company. In the 1840s Esther A. Howland created the first commercial Valentine’s Day cards in the United States. Hallmark first offered Valentine’s Day cards in 1913 and began producing them in 1916. (Thanks to Wikipedia for all this interesting info). How do you get side stitch pain releif? Have you ever had a cough that just lingers on and on? Sometimes you may cough so hard, and so much, that your side hurts. Some people call it a “side-stitch” because it feels like a sewing needle is being jammed in between your ribs. First it only hurts when you have a coughing fit, but eventually it could hurt just from breathing. Fortunately, it’s a simple thing to explain, and even easier to treat. It is caused by spasms in our intercostal muscles. What Are Intercostal Muscles & What Do They Do? The intercostal muscles are between each rib, and like every other muscle they contract (shorten) and expand (lengthen). 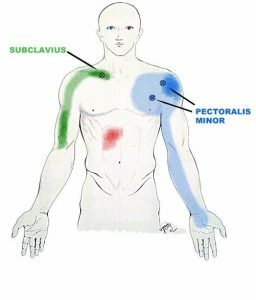 Visualize muscles going up and down between each rib, connecting one rib to the next rib. 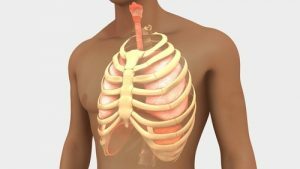 When you breathe in the intercostal muscles must lengthen to allow your ribs to separate so your lungs can expand and absorb oxygen. In order to breath out, the muscles must contract and pull your ribs together. This puts pressure on your lungs so you can expel carbon dioxide from your body. When you cough your ribs open and close suddenly. This isn’t a problem if you cough once or twice, but if you have a condition such as a cold, the flu or pneumonia, you may have severe and repeated coughing spells. This causes a repetitive strain injury to the intercostal muscles as you are coughing repeatedly. The tiny intercostal muscles are rapidly contracting and expanding, without a chance to relax. Eventually tiny muscle spasms are created in the muscles, each one shortening the muscle fibers. The spasms cause a strain to be put onto the attachment at the rib, laying the groundwork for a side-stitch. The strained muscle fibers prevent your ribs from opening properly as you take in a breath. As you gasp for air during your coughing attack, you are forcing your ribs to part, and the tight muscle is putting a strain on the bone. The strain feels like a needle or the point of a knife is being pushed into your side. Using your opposite hand press your fingertip(s) into the exact point where you feel the pain. These spasms are specific, and they hurt exactly where you are feeling the pain. Hold the pressure on the spasm for about one minute. You’ll feel the pain lessen as the spasm releases. Continue pressing on the point while you take in a slow, deep breath. Your goal is to open your rib cage as much as possible. As you are pressing on the spasm and opening your rib cage so your lungs can fill with air, you are also stretching the intercostal muscle that was in spasm. Do this several times until the point no longer is painful. Press around your entire rib cage, as far as you can reach, and see if you find any other spasms between your ribs. If you do, treat each one the same way. Fortunately, it is simple to self-treat spasms that cause pain. This is the case whether you are treating spasms that cause headaches, shoulder pain, low back pain, hip, knee, leg or foot pain. In fact, I resolved debilitating carpal tunnel syndrome by treating the muscles that impact the median nerve &/or my wrist and hand. For more information, visit www.JulstroMethod.com. It is so confusing. You get lots of advice in today’s world. Your friend shares a new diet they read about and tells you how well it worked for her. Your trainer puts you on a diet his sports guru recommended. You read Dr. Strangelove’s health blog and decide you need to throw out all the foods in your refrigerator. Your doctor tells you what you should eat and whether you should take supplements. You decide to follow the recommendations of the American Heart Association or American Diabetes Association because they are the experts. The problem is you are told all this advice is based on clinical studies – AND – most of the advice is conflicting. You don’t know who to believe, and, even worse, you are starting to wonder whether you can believe clinical studies. 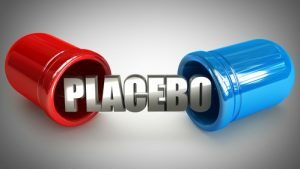 The placebo effect approaches 50% for things like feeling good, energy and mood. 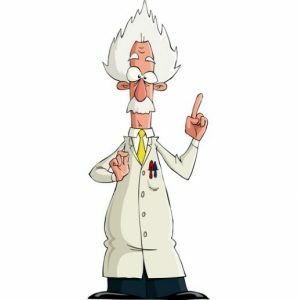 Reputable scientists ignore testimonials and look for clinical proof. What works for your friend or trainer may not work for you. Any extreme diet that eliminates foods and food groups from your diet will cause short-term weight loss and improvements in health parameters like cholesterol, blood sugar, and blood pressure. 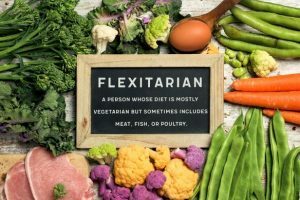 Reputable scientists look for studies documenting the long-term health outcomes of those diets. Some diets that look healthy short-term are unhealthy long-term. Advocates of these fad diets emphasize short-term successes of their favorite diet and don’t even look for studies on long-term health outcomes. Every clinical study has its flaws. Reputable scientists recognize this and don’t base their recommendations on individual studies. Instead, they base their recommendation on the preponderance of evidence from multiple studies. Strangelove and other bloggers don’t understand that. They select studies that support their viewpoint and ignore the rest. Some clinical studies are better than others. In fact, some really bad clinical studies get published. Reputable scientists know how to distinguish between good studies and bad studies. They ignore bad studies and base their recommendations on good studies. Strangelove, other bloggers, and the news media aren’t scientists. They don’t know how to distinguish between good and bad studies. They simply report the studies that support their viewpoint. Strangelove, other bloggers, and the new media prefer audience over accuracy. They measure success by the number of readers rather than the accuracy of their articles. “Man bites dog” stories gather the most readers. 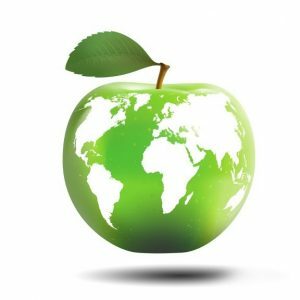 Dr. Strangelove and the media focus on studies that challenge the advice you have been getting from the health and nutrition establishment. The studies may not be accurate, but they attract a lot of readers. Responsible scientists will give you the boring truth, even if it doesn’t attract many readers. 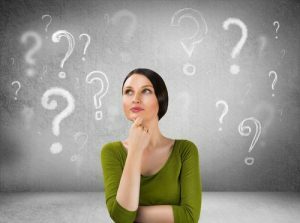 In my books I help you navigate through the world of conflicting clinical studies, so you can base your decisions on the very best clinical studies. However, there is one more “secret” you need to know. It is one that every scientist knows, but the public almost never hears about. However, before I tell you the secret, let me set up this discussion by talking about glycemic index and use one food, the lowly banana, as an example. If you are a diabetic or are following one of the many low-carb diets, you probably know all about glycemic index. You probably have a glycemic index list in your kitchen or on your phone. You probably consult that list often to determine which foods you can eat and which you can’t. 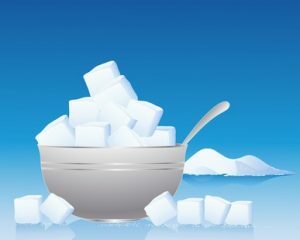 (If you aren’t familiar with the term, it is simply a measure of how big a blood sugar increase each food causes). 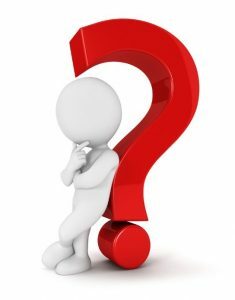 What if I were to tell you the glycemic index list you are relying on may not apply to you? Then there is the lowly banana. You have probably heard from your trainer or favorite nutrition blog that you should avoid bananas because they are too high in sugar. However, if you were to consult a nutrition expert, they would tell you that bananas are a great choice. Bananas are nutrient powerhouses. In addition, a ripe banana has a glycemic index of 51 and anything under 55 is considered low-glycemic. What if I were to tell you that the advice about bananas that both your trainer and nutrition experts give you is correct for some people? You just need to find out which advice applies to you. Now, you are ready to learn the secret. It is this: Clinical studies are based on averages, and none of us are average. Because of that, even the very best clinical study results may not apply to you. In a way, this reminds me of “The Wizard Of Oz.” You remember the story. If you were sitting in front of the curtain, the wizard was impressive. He was all powerful. He was making learned pronouncements about the way things should be. But, behind the curtain, the reality was quite different. 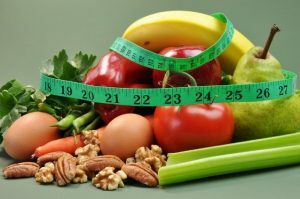 The authors of most clinical studies and most nutrition gurus make learned pronouncements about the life changes you should make based on the results of their study. They seldom let you peak behind the curtain to see how much the results vary from one individual to the next. One exception is a recent study that reported individual variation in blood sugar responses to various foods. 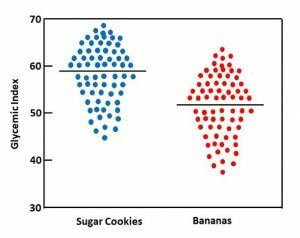 There are lots of examples from that study I could share with you, but I will use bananas versus sugar cookies as an example. When they reported average values, bananas had a glycemic index of 51 and sugar cookies had a glycemic index of around 59. Both of those values are very close to what you find in most glycemic index lists. The glycemic index of a banana is only 13% less than the glycemic index of sugar cookies. However, since the cut-off between high and low glycemic indices is 55, bananas are classified as low-glycemic and sugar cookies are classified as high-glycemic. According to conventional wisdom, bananas are good for you and sugar cookies are bad for you. But, what about individual variation? Does that wisdom really apply to you? Based on the range of blood-sugar responses reported in the paper, I have created the scatter plot on the left to help you visualize the range of individual responses. The horizontal line represents the average glycemic index for sugar cookies and bananas. The dots represent the glycemic response of individuals in the study. 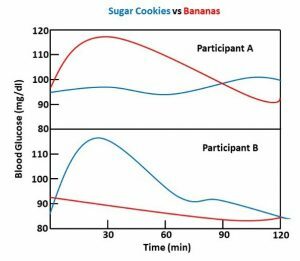 For some people in the study the glycemic response to bananas was greater than the average glycemic response to sugar cookies. For other individuals the glycemic response to sugar cookies was less than the average glycemic response to bananas. You can see the extent of individual variability even more clearly in the figure on the right, which was reproduced from one of the figures in the paper. The authors reported that for some individuals, bananas caused no increase in blood sugar while sugar cookies caused a big spike in blood sugar (the response most people would expect). However, for other individuals, sugar cookies caused no increase in blood sugar while bananas caused a big spike in blood sugar. Now you understand why I told you the glycemic list you are relying on may not apply to you. You also understand why I said the advice you have been given about bananas might not apply to you. 4-fold for sugar-sweetened soft drinks, grapes, and apples. 6-fold for bread and potatoes. 7-fold for ice cream and dates. Can You Believe Clinical Studies? I used glycemic index as an example. The same principle is true for almost any clinical study. Let’s consider clinical studies looking at the effect of diet on health outcomes such as heart disease. The headlines may say that a particular diet significantly decreases your risk of heart disease. When you read the paper behind the headlines, you discover that the diet decreases heart disease by 15%. That result may be statistically significant, but it is hardly life changing. If you could peak behind the curtain you might discover that the diet cut heart disease risk in half for some individuals and had no effect on heart disease risk for others. Clinical studies looking at weight loss are another example. You might be told “Clinical studies show people who follow diet X lose 12 pounds in 6 weeks”. That’s an average value. If you could peak behind the curtain, you would discover that nobody lost exactly 12 pounds. Some lost more. Some lost less. Some may have actually gained weight. I am not saying that well-designed clinical studies are useless. They are a good foundation for general nutrition guidelines. What I am saying is that not every nutritional guideline applies to you. Conclusions from clinical trial results are based on averages – none of us are average. Daily Values (DV) are based on averages – none of us are average. Nutritional recommendations for optimal health are based on averages – none of us are average. The identiﬁed risk factors for developing diseases are based on averages – none of us are average. Glycemic index lists are based on averages. None of us are average. That means lots of the advice you may be getting about your risk of developing disease X, the best diet to prevent disease X, the best foods to keep your blood sugar under control, or the role of supplementation in preventing disease X may be generally true – but it might not be true for you. So, my advice is not to blindly accept the advice of others about what is right for your body. Just because some health guru recommends it, doesn’t mean it is right for you. Just because it worked for your buddy, doesn’t mean it will work for you. Learn to listen to your body. Learn what foods work best for you. Learn what exercises just feel right for you. Learn what supplementation does for you. Don’t ignore your doctor’s recommendations, but don’t be afraid to take on some of the responsibility for your own health. You are a unique individual, and nobody else knows what it is like to be you. Since I used glycemic index as an example in this discussion, I feel obligated to discuss the difference between glycemic index and glycemic load. Glycemic index is based on the blood sugar response to 50 gm of carbohydrate in various foods. Glycemic load is based on the blood sugar response to a serving of that food. In some cases, that’s a big difference. Glycemic index can sometimes be deceiving. Let me give you two examples. Carrots and watermelon are often found on lists of high glycemic foods. If that sounds a bit weird to you, it is. One serving (one medium carrot) of carrots has 6 grams of carbohydrate (of which, only 2.9 grams is sugar). To get 50 grams of carbohydrate, you would need to eat 8 carrots. Watermelon is, not surprisingly, mostly water. One serving (a 1-inch thick sliced wedge or one cup) of watermelon contains 11 grams of carbohydrate (of which, 9 grams of sugar). To get 50 grams of sugar, you would need to eat 4.5 cups of watermelon. For both carrots and watermelon, their glycemic load is a more accurate measure of their effect on your blood sugar than is their glycemic index. Leaving individual variation out of consideration, here is a simple guide for choosing low-glycemic foods if you are trying to control your blood sugar levels. Foods with a low glycemic index are generally a good choice. Many foods with a high glycemic index also have a high glycemic load. If you are uncertain about some foods on the high glycemic index list, also check their glycemic load. 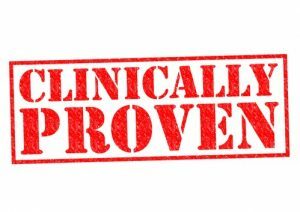 Clinical studies are the bedrock on which we build recommendations for diet, exercise, and supplementation. In the article above I discuss how to distinguish between good and bad clinical studies. I also discuss how individual variability influences the interpretation of clinical studies. Does Magnesium Optimize Vitamin D Levels? 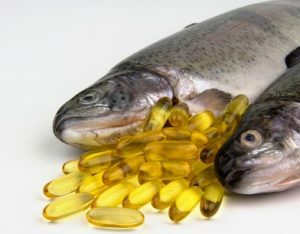 One of the great mysteries about vitamin D is the lack of correlation between vitamin D intake and blood levels of its active metabolite, 25-hydroxyvitamin D. Many people who consume RDA levels of vitamin D from foods and/or supplements end up with low blood levels of 25-hydroxyvitamin D. The reason(s) for this discrepancy between intake of vitamin D and blood levels of its active metabolite are not currently understood. Another great mystery is why it has been so difficult to demonstrate benefits of vitamin D supplementation. Association studies show a strong correlation between optimal 25-hydroxyvitamin D levels and reduced risk of heart disease, cancer, and other diseases. However, placebo-controlled clinical trials of vitamin D supplementation have often come up empty. Until recently, many of those studies did not measure 25-hydroxyvitamin D levels. Could it be that optimal levels of 25-hydroxyvitamin D were not achieved? The authors of the current study hypothesized that optimal magnesium status might be required for vitamin D conversion to its active form. You are probably wondering why magnesium would influence vitamin D metabolism. I had the same question. Magnesium status affects the activities of enzymes involved in both the synthesis and degradation of 25-hydroxyvitamin D.
Some clinical studies have suggested that magnesium intake interacts with vitamin D intake in affecting health outcomes. If the author’s hypothesis is correct, it is a concern because magnesium deficiency is prevalent in this country. 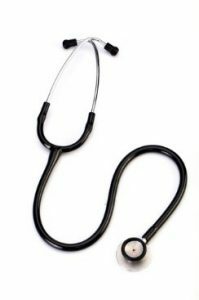 In their “Fact Sheet For Health Professionals,” the NIH states that “…a majority of Americans of all ages ingest less magnesium from food than their respective EARs [Estimated Average Requirement]; adult men aged 71 years and older and adolescent females are most likely to have low intakes.” Other sources have indicated that magnesium deficiency may approach 70-80% for adults over 70. If the author’s hypothesis that magnesium is required for vitamin D activation is correct and most Americans are deficient in magnesium, this raises some troubling questions. Most vitamin D supplements do not contain magnesium. If people aren’t getting supplemental magnesium from another source, they may not be optimally utilizing the vitamin D in the supplements. Most clinical studies involving vitamin D do not also include magnesium. If most of the study participants are deficient in magnesium, it might explain why it has been so difficult to show benefits from vitamin D supplementation. Thus the authors devised a study (Q Dai et al, American Journal of Clinical Nutrition, 108: 1249-1258, 2018 ) to directly test their hypothesis. The authors recruited 180 volunteers, aged 40-85, from an ongoing study on the prevention of colon cancer being conducted at Vanderbilt University. The duration of the study was 12 weeks. Blood was drawn at the beginning of the study to measure baseline 25-hydroxyvitamin D levels. Three additional blood draws to determine 25-hydroxyvitamin D levels were performed at weeks 1, 6, and 12. Because high blood calcium levels increase excretion of magnesium, the authors individualized magnesium intake based on “optimizing” the calcium to magnesium ratio in the diet rather than giving everyone the same amount of magnesium. The dietary calcium to magnesium ratio for most Americans is 2.6 to 1 or higher. Based on their previous work, they considered an “ideal” calcium to magnesium ratio to be 2.3 to 1. 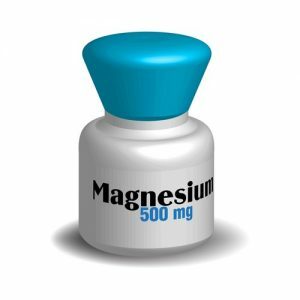 The mean daily dose of magnesium supplementation in this study was 205 mg, with a range from 77 to 390 mg to achieve the “ideal” calcium to magnesium ratio. The placebo was an identical gel capsule containing microcrystalline cellulose. Two 24-hour dietary recalls were conducted at baseline to determine baseline dietary intake of calcium and magnesium. Four additional 24-hour dietary recalls were performed during the 12-week study to assure that calcium intake was unchanged and the calcium to magnesium ratio of 2.3 to 1 was achieved. In short this was a small study, but it was very well designed to test the author’s hypothesis. This was a very complex study, so I am simplifying it for this discussion. For full details, I refer you to the journal article (Q Dai et al, American Journal of Clinical Nutrition, 108: 1249-1258, 2018). The most significant finding was that magnesium supplementation did affect blood levels of 25-hydroxyvitamin D. However, the effect of magnesium supplementation varied depending on the baseline 25-hydroxyvitamin D level at the beginning of the study. When the baseline 25-hydroxyvitamin D was 20 ng/ml or less (which the NIH considers inadequate), magnesium supplementation had no effect on 25-hydroxyvitamin D levels. When the baseline 25-hydroxyvitamin D was 20-30 ng/ml (which the NIH considers the lower end of the adequate range), magnesium supplementation increased 25-hydroxyvitamin D levels. When the baseline 25-hydroxyvitamin D level approached 50 ng/ml (which the NIH says may be “associated with adverse effects”), magnesium supplementation lowered 25-hydroxyvitamin D levels. When vitamin D intake is inadequate, magnesium cannot magically create 25-hydroxyvitamin D from thin air. When vitamin D intake is adequate, magnesium can enhance the conversion of vitamin D to 25-hydroxyvitamin D.
When vitamin D intake is too high, magnesium can help protect you by lowering 25-hydroxyvitamin D levels. This was a groundbreaking study that has provided novel and interesting results. It provides the first evidence that optimal magnesium status may be required for optimizing the conversion of vitamin D to 25-hydroxyvitamin D.
It suggests that optimal magnesium status can help normalize 25-hydroxyvitamin D levels by increasing low levels and decreasing high levels. However, this was a small study and, like any groundbreaking study, has significant limitations. For a complete discussion of the limitations and strengths of this study I refer you to the editorial (S Lin and Q Liu, American Journal of Clinical Nutrition, 108: 1159-1161, 2018) that accompanied the study. In summary, this study needs to be replicated by larger clinical studies with a more diverse study population. In order to provide meaningful results, those studies would need to carefully control and monitor calcium, magnesium, and vitamin D intake. There is also a need for mechanistic studies to better understand how magnesium can both increase low 25-hydroxyvitamin D levels and decrease high 25-hydroxyvitamin D levels. If you are taking a vitamin D supplement, you should probably make sure that you are also getting the DV (400 mg) of magnesium from diet plus supplementation. If you are taking a calcium supplement, you should check that it also provides a significant amount of magnesium. If not, change supplements or make sure that you get the DV for magnesium elsewhere. I am suggesting that you shoot for the DV (400 mg) of magnesium rather than reading every label and calculating the calcium to magnesium ratio. The “ideal” ratio of 2.3 to 1 is hypothetical at this point. A supplement providing the DV of both calcium and magnesium would have a calcium to magnesium ratio of 2.5, and I would not fault any manufacturer for providing you with the DV of both nutrients. If you are taking high amounts of calcium, I would recommend a supplement that has a calcium to magnesium ratio of 2.5 or less. If you are considering a magnesium supplement to optimize your magnesium status, you should be aware that magnesium can cause gas, bloating, and diarrhea. I would recommend a sustained release magnesium supplement. Finally, whole grains and legumes are among your best dietary sources of magnesium. Forget those diets that tell you to eliminate whole food groups. They are likely to leave you magnesium-deficient. Even if the conclusions of this study are not confirmed by subsequent studies, we need to remember that magnesium is an essential nutrient with many health benefits and that most Americans do not get enough magnesium in their diet. The recommendations I have made for optimizing magnesium status are common-sense recommendations that apply to all of us. 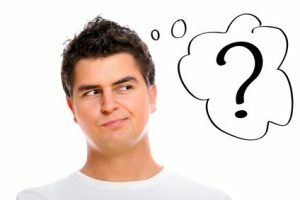 If you asked most nutrition experts and supplement manufacturers whether it is important to provide magnesium along with vitamin D, their answer would likely be “No”. Even if they are focused on bone health, they would be more likely to recommend calcium along with vitamin D than magnesium along with vitamin D.
If your doctor has tested your 25-hydroxyvitamin D levels and recommended a vitamin D supplement, chances are they didn’t also recommend that you optimize your magnesium status. Clinical studies investigating the benefits of vitamin D supplementation never ask whether magnesium intake is optimal. 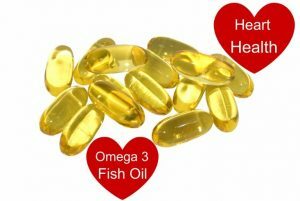 A study showing that omega-3 fatty acids and B vitamins may work together to prevent cognitive decline. Unfortunately, most studies looking at the effect of B vitamins on cognitive decline have not considered omega-3 status and vice versa. No wonder those studies have produced inconsistent results. Studies looking at the effect of calcium supplementation on loss of bone density in the elderly have often failed to include vitamin D, magnesium, and other nutrients that are needed for building healthy bone. They have also failed to include exercise, which is essential for building healthy bone. No wonder some of those studies have failed to find an effect of calcium supplementation on bone density. A study reported that selenium and vitamin E by themselves might increase prostate cancer risk. Those were the headlines you might have seen. The same study showed Vitamin E and selenium together did not increase prostate cancer risk. Somehow that part of the study was never mentioned. 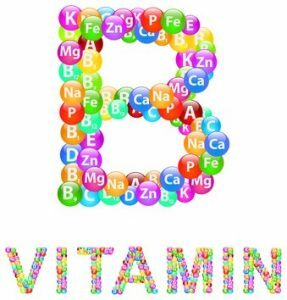 A study reported that high levels of individual B vitamins increased mortality slightly. Those were the headlines you might have seen. The same study showed that when the same B vitamins were combined in a B complex supplement, mortality decreased. Somehow that observation never made the headlines. A 20-year study reported that a holistic approach to supplementation produced significantly better health outcomes. In summary, vitamins and minerals interact with each other to produce health benefits in our bodies. Some of those interactions we know about. Others we are still learning about. When we take high doses of individual vitamins and minerals, we create potential problems. We may not get the full benefit of the vitamin or mineral we are taking because some other important nutrient(s) may be missing from our diet. Even worse, high doses of one vitamin or mineral may interfere with the absorption or enhance the excretion of another vitamin or mineral. That can create deficiencies. The same principles apply to our diet. I mentioned earlier that whole grains and legumes are among the best dietary sources of magnesium. Eliminating those two foods from the diet increases our risk of becoming magnesium deficient. And, that’s just the tip of the iceberg. Any time you eliminate foods or food groups from the diet, you run the risk of creating deficiencies of nutrients, phytonutrients, specific types of fiber, and the healthy gut bacteria that use that fiber as their preferred food source. 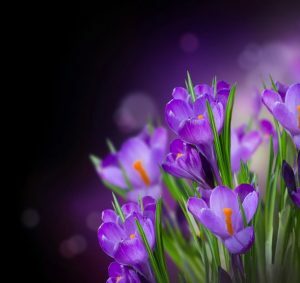 If you asked most nutrition experts and supplement manufacturers whether it is important to provide magnesium along with vitamin D, their answer would likely be “No.” Even if they are focused on bone health, they would be more likely to recommend calcium along with vitamin D than magnesium along with vitamin D.
If your doctor has tested your 25-hydroxyvitamin D levels and recommended a vitamin D supplement, chances are he or she did not also recommend that you optimize your magnesium status. Clinical studies investigating the benefits of vitamin D supplementation never ask whether magnesium intake is optimal. That may be why so many of those studies have failed to find any benefit of vitamin D supplementation. I cover holistic supplementation in detail in my book “Slaying The Supplement Myths” and provide several other examples where a holistic approach to supplementation is superior to taking individual supplements. In summary, vitamins and minerals interact with each other to produce health benefits in our bodies. Some of those interactions we know about. Others we are still learning about. Whenever we take high doses of individual vitamins and minerals, we create potential problems. The same principles apply to what we eat. For example, whole grains and legumes are among the best dietary sources of magnesium. Eliminating those two foods from the diet increases our risk of becoming magnesium deficient. And, that’s just the tip of the iceberg. Any time you eliminate foods or food groups from the diet, you run the risk of creating deficiencies. For more details about the current study and what it means to you read the article above.